Undoubtedly, some of us find it difficult to wake up in the morning. However, even as we wake up, sometimes we do not have the will or the desire to start the day. This can be due to fatigue, stress, multiple work tasks, or a lousy sleeping routine. Anyway, we have to encourage ourselves every morning, so we have more will and be more productive during the day. Here are ten of the many facts that we should remind ourselves each morning for a better day. Every new day can bring something new into our lives. Many people may know this, but often they do not remember or appreciate the importance of this fact. We need every morning to wake up with this principle to try out something new that can bring about positive changes in our lives. One of the biggest mistakes people make is waiting for the right time. Often people do not have the ambition to start something new and wait for the right time to come. In fact, they have lost the most valuable thing. We need to manage time efficiently to achieve something in life. So we should remind ourselves every morning that we have to act and not just wait for “the right time” because the positive changes require self-initiative. This is another fundamental principle that we should remind ourselves. Many people fail to create something new because they do not consider themselves a “right person” to get started. In reality, it is quite the opposite. Almost all successful people have started from nothing. As soon as we wake up in the morning, we have to fill ourselves with positive energy and see life more positively. This statement is more about the initiative that we have to take every day. Since everything starts from the first steps, we should not be afraid to create something great even though we began to. Most successful companies like EssayWritingLand started from nothing and worked hard to achieve their goals. We should understand this principle well and remind ourselves of it every morning. Even if you had a dream in your life that you did not achieve, it is never too late to start it again. If you have had the desire to behave with a particular profession, then it is not too late to start now and follow your dream. Maybe you have heard many times, but it’s true. Be yourself. Indeed, each of us has his positive virtues, so follow them. Each character is different and has its qualities. Therefore, no one should be copied, since the good is hidden within you. Try remembering your virtues every morning and tell yourself that you are a valuable person. Even if you do not have immediate progress, this does not mean you have to stop. If you are doing something and have not yet achieved the desired results, then once you wake up to remind yourself that you should not stop until you reach your goals. The tragedy of life doesn’t lie in not reaching your goals. Each of us must have our goals in life. This will give you more sense of your day and will make you ambitious. It is well-known fact that people who do not have specific goals, have a monotonous daily routine and feel ineffective and unproductive. It would help if you always had the principle of going beyond your limitations. This usually makes successful people. Every morning remind yourself that you can achieve more and that you are willing to do things that ordinary people do not want to do. Challenges make you more powerful and give positivity to your life. You should not be afraid of new things, and you should remind yourself now and then. Life has evolved too much, and I have changed. Therefore new things bring positivity and can give meaning to your life. You can do more if you ever go out of the routine and try something new. Morning is the starting point of our day. So we have to be very careful about how we approach this period. We should fill ourselves with positivity and recover lost energy through our new ideas and ambitions. Samantha R. Gilbert is a journalist and a blogger from New York. She likes to watch people and their behaviors, believes it can tell much about the person. Samantha loves to talk about modern art, education, and adventures. Find her on Facebook and Twitter. Have you taken a moment recently to think about the power of the words you say? Too often, we say words and sentences that are very careless or even hurtful, either to others or ourselves, and don’t even stop to think about the far-reaching effects that doing so will have. 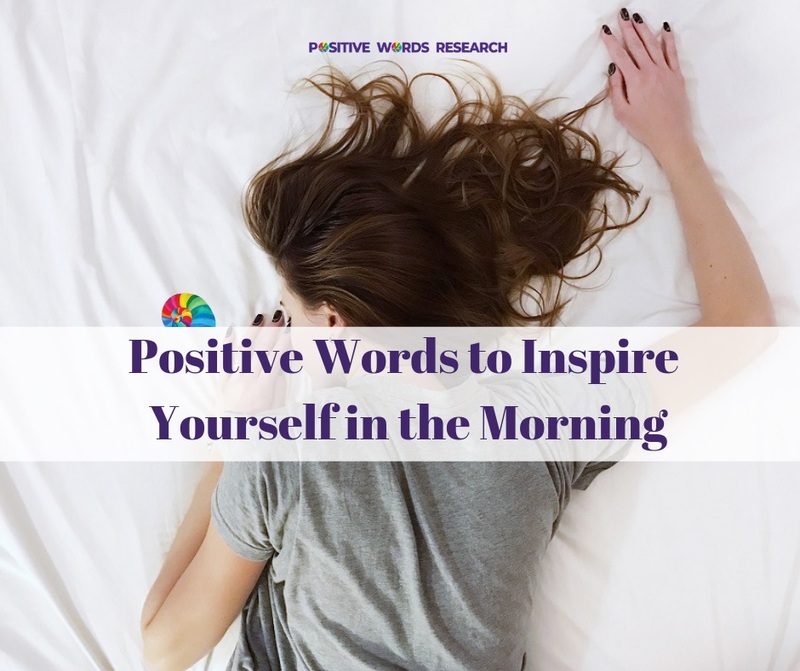 I have found that one of the best ways to stop having a negative influence through speaking and writing is by increasing the positive sayings that I put out into the world. 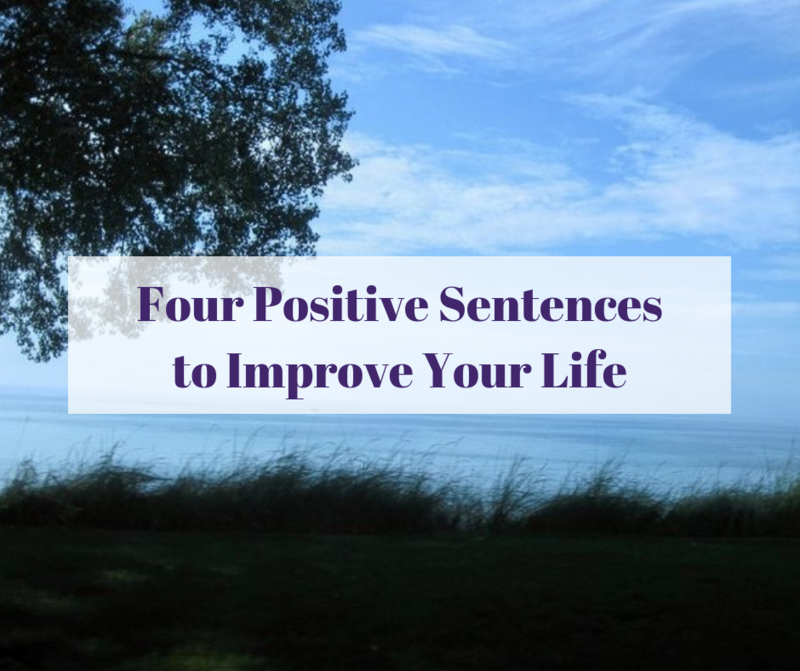 Here are five simple examples of positive sentences you can begin using to get started on a path to a more optimistic and joyful life. It isn’t always easy to convince ourselves that we are happy. It isn’t even always easy to convince ourselves that we are good, healthy, kind or any of the other typical affirmations that you will hear. But what is fairly easy to tell ourselves, at least in my experience, is that we are well. As powerful as well-being is, there is something about this saying that is easy on the brain, eyes, and ears. Wellness can almost be a state of mind; I believe this is why it is a good quality to affirm as being present within yourself, especially if you are highly skeptical with regards to positive thinking. Our spirits can be well, even when our minds, finances or bodies are not. Remind yourself that you are going to be okay. It can really help you put your life into perspective, especially when you get wrapped up in the small, everyday stressors of life. It feels so relaxing to state that you are enough to yourself, especially when you affirm it aloud. Modern society will tell you that you are anything but enough. Day in and day out, we are all being sold the idea that we need something more to complete ourselves – whether that “something" be money, clothes or another material possession of some sort. Reminding yourself that, at the end of the day, you really are enough can work wonders on your self-esteem and your inner peace. You are fine as-is; it is always a good idea to work on yourself, but making a mistake or skipping a day of self-improvement is not the end of the world or a sign that you are worthless. Here is another lie that we have been taught throughout history: most everyone is bad, and no one can really be trusted. It is important to remember, though, that all of us imperfect people are really doing the best job that we can with the resources we have and the worldviews we have been raised to accept as true. I would argue that the majority of people living today believe that they are good and doing what is right by their moral standards. Reminding yourself that “people are good" can really help you put the behavior and mindsets of others into perspective and practice being more tolerant to those who don’t agree with you – or even those who have hurt or offended you in some way. Letting go of negative feelings toward such people really makes a world of difference where your mood is concerned. It is important to remember that, even when it may not seem like it, good things are always surrounding us. Even if you are holed up inside feeling miserable and alone, there is new life being born, inspiring art being created and kindness being expressed, even if you can’t personally see or feel it. Write out an affirmation that “goodness is everywhere" or say this simple sentence out loud to yourself – this statement is so true that it is hard to reason against it, even if you are a highly pessimistic person. People go through numerous ups and downs in life. Having a basic structure in place to handle these emotional rollercoasters can help you to feel more capable of dealing with them when they occur. Even if you are weary of affirmation or find it hard to be happy, I believe that writing or speaking these four little sentences will improve your day, your outlook and even your life. Lindsey J. Flagg is a writer who started her freelancing journey in June of 2018 and has a unique worldview due to her varied work experience in such industries as digital marketing, insurance, and journalism. Lindsey lives in Schererville, IN, and spends her free time writing poetry, listening to music and ranting on her music blog. She graduated from Purdue University Northwest with her BA in Communication and a Minor in Media & Culture. Other links available on request, if needed. Social Media (SM) has become the first choice for users to express their feelings with freedom. For many people all over the world, tweeting a tweet, hashtagging an Instagram caption, posting Facebook status now onwards is common practice. In the past, people communicate via emails, forums, and newsgroups. Recently, SM has gain lot of popularity for content sharing and sharing their opinions freely. SM such as Twitter, people get updated with the latest news, live events, participate in different activities. Also, keep up to date with friends and families. Twitter has 270 million active users, and 500 million tweets are sent per day. There are many research topics on social network analysis. Opinion mining and sentimental analysis techniques are used to extract useful information from the user’s tweets text. Tweets may contain text from three different categories such as Positive Tweet, Negative Tweet and Neutral. “Your words become your world – Nadeem Kazmi." Words, of course, are essential for social media. Researchers using your linguistic features start predicting the personality of the people. Similarly, the words tag cloud easily help social media developers to show contents similar to your feelings and emotions to increase the throughput of company’s advertisements. Certain words hold more power over our decisions making process than others. Extraversion. It is a factor which is used to find your interaction with other people on SM. More you interact, more you make friends and posts. Neuroticism. The factor used to describe your emotions. Agreeableness. Your feelings, how you feel towards others. Conscientiousness. Describes how organized and dependable you are. Openness. Is when someone is curious and openminded to new experiences and knowledge. Either it is positive, negative and neutral words are used in the tweets. Researchers believe, that no matter what the platform or language, users common practices to use more positive words than negative words. There are many reasons behind the statement. One is that a lot more good things happen to us than bad things. So naturally, we are addicted to positive thinking’s finally end up saying more positive words. The most challenging task is to classify the tweet into their categories so that a normal user can easily guess the subject of the tweet. Either it is posted to review a movie, book, electronics or any other product & company. Or it is related to some specific personalities such as Donald Trump, Imran Khan so on and so forth. Similarly, tweets may be related to some live events currently being held such as FIFA World Cup. Words used in the tweet may classify the tweet subjectivity. 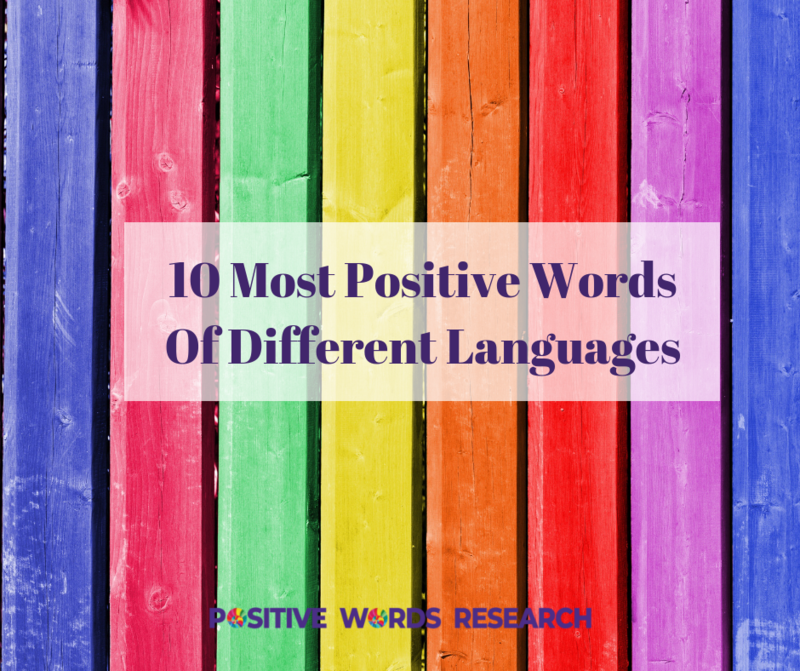 These positive words are also known as linguistic features from a research point of view. In the article, we have mentioned various positive words which are used on different matters on social media. The categories we selected are mentioned below. In table 2, words such as “amazing, awesome, best, sweet, fantastic, extremely nice, wonderful" any many other can be used for more than one categories like Movies, Products, Events, Places. However, words such as “smart, handsome, caring, energetic, hero, respect" are only associated with Personalities. Similarly, “Can’t wait, biggie, standing ovation, blockbuster, superhit, wow, top, brilliant, good, superb, amazing, I love" can be categorized into movies. There are many other words which have been used in opinions to express positive emotions. Words can inspire, words can destroy. We cope with today’s problems with some positive to say. When terrorists commit an atrocity, we quickly respond to the news with some positive feelings and emotions for the victims and pray to God for their good beings. Even sometimes, if a bad event is described by social media, efforts are still made to use positive language to have a positive impact on the society. In the article, we have listed some of the most common positive words used to express positive emotions in social media such as on Twitter. We have selected some specific categories which have been discussed on social media these days. We encourage users to stay calm and positive. 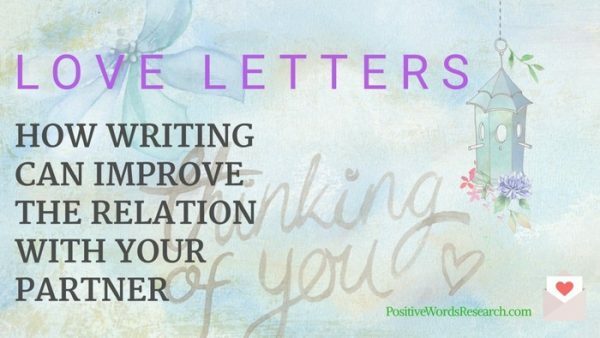 In this post, you are going to discover how, for example, writing love letters, could be a fountain that nourishes relationships. There is a reason why a student would want to hire assignment experts to help him or her complete school work. It is to say; they that have the muse, talent, and power to put words down on paper are capable of achieving anything through the art of writing. Words cannot be undone. Think about it this way. Have you ever said something to someone you love that it hurt them so much but you never did realize how deep their hearts were wounded until the following morning? It happens and while sometimes people never plan to say things that pierce through the hearts of loved ones like a thousand knives, there are times when anger would drive one to make careless utterances, even in writing. In love and hate, words have the power to wring tears even from the most hardened of hearts. On the flipside, words can soothe like breeze by the Seaside. You would want to relish in the moment of beautiful words till forever. You may want to ask; why do people care so much about writing love letters even in this age of desktop publishing? Typed or handwritten, words have the power of making anyone fall in love. Just like a picture would speak a thousand words, words on paper have the power to speak to a million souls all at once and they could be so touching that everyone who read your piece would yearn for more. Writers can speak many different languages of love in a single piece of literary composition. Shakespeare’s sonnets and love quotes from Rome and Juliet, Merchant of Venice among other literary works by renowned authors who pour their souls on paper to paint the beautiful picture of love are sure-fire proofs that powerful words burn like eternal flames. Some say the life of a writer is a solitude one and utterly boring. They may be right. But in those very moments of silence and loneliness, words find their power to fly out of souls and into the world of readers. So, does it mean those who love writing are capable of stemming relationships with their partners in the midst of raging storms of disagreements or fall-outs? Well, let’s find out how possible that could be. Writing remains a timeless way of expressing thoughts, emotions, and feelings. And when you connect this timeless truth with making amends with your partner through words on paper, there is no other better to put it. Words spoken from deep within the heart are those we express in literary composition. Every sense accompanies this craft to an extent that we feel completely immersed in writing apology letters than we would say sorry by word of mouth. Stories behind some of the greatest songs ever written reek of soul ties with a craft that is now one of the best ways of influencing decisions and changing minds; writing. If you dream of beautiful words, wake up and put them down on paper. Writing sweet lyrics for a loved one is perhaps a good explanation as to why musicians make men and women believe in the power of words. Words literally lift the human soul to higher grounds and into spaces yonder. The universe is made real by ink on paper. A make-believe craft that finds its way into resolving conflicts in relationships. Tell her those sweet magical words and it will be enough to wipe her tears in times of disagreement. You may want to consider writing my paper help to test the waters using poems. There are days when you will fear a relationship is on the rocks and if one cannot find their way around words, things could move from the frying pan into the sun. In all honesty, words are expressive of the deeper self. And while writing love letters, words may look puffed up, but how else could one explain the feeling that cannot be expressed in deed? As powerful as they are, words have exposed strengths and weakness of those with who we are in love. Pouring your soul on paper is undoubtedly a good way of making worlds of fiction and reality meet. Through it, you will find your partner. There are days when people in love become worlds apart, maybe because of circumstances. Love letters will help bridge the distance that threatens to tear apart relationships. They remain of epic beauty and appeal just as would roses presented to a loved one on a valentine’s day.